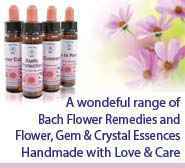 We offer a range of discounts on our Bach Flower Remedies & Flower, Gem & Crystal Essences for practitioners and therapists. As a practitioner or therapist we know that when you're seeking products to use with your clients, the best quality Essences, proper help, support and adivce, and a good discount are priorities. At Crystal Herbs we have dedicated the last twenty years to creating an extensive range of high quality Flower Gem & Essences, which we make by hand with love and consciousness. We are all trained essence practitioners and healers in own right and know just how important it is to have the right tools and information easily available. 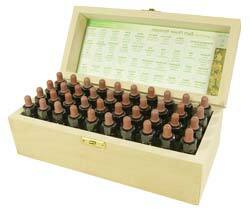 Bach Flower Remedies and deeper acting Flower, Gem & Crystal essences are an ideal accompaniment to any practice. 20% discount on all orders for our Bach Flower Remedies and Flower, Gem & Crystal Essences - including single and combination essences - and on our complete range of Essence sets. 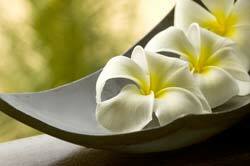 You can order on-line in our Flower Essence Shop or you can order by telephone on 01379 608059. Wherever possible we aim to dispatch orders either same or next working day. We know that with so many essences to choose from it can be difficult to always have the one you need in stock, especially when first starting up in practice, so we offer all our Practitioner Account holders the opportunity to place orders for direct mailing to clients. Again wherever possible we aim to dispatch orders either same or next working day and feedback indicates that our practitioners find this facility extremely valuable. Please phone or email for free help and product information - we are always available to provide advice and backup. If you are a practising, qualified complementary practitioner or therapist, you are very welcome to apply for a Crystal Herbs Practitioner Account.